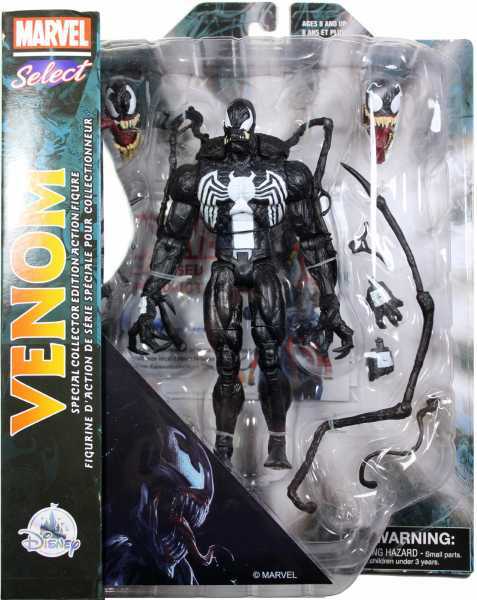 Produktinformationen "MARVEL SELECT VENOM DISNEY EXCLUSIVE ACTIONFIGUR"
Venom has been unleashed for action-packed playtime adventures with this Marvel Select action figure inspired by the symbiotic nightmare from the Marvel Universe. Figure includes interchangeable hands, interchangeable heads and multiple accessories. Weiterführende Links zu "MARVEL SELECT VENOM DISNEY EXCLUSIVE ACTIONFIGUR"
Kundenbewertungen für "MARVEL SELECT VENOM DISNEY EXCLUSIVE ACTIONFIGUR"